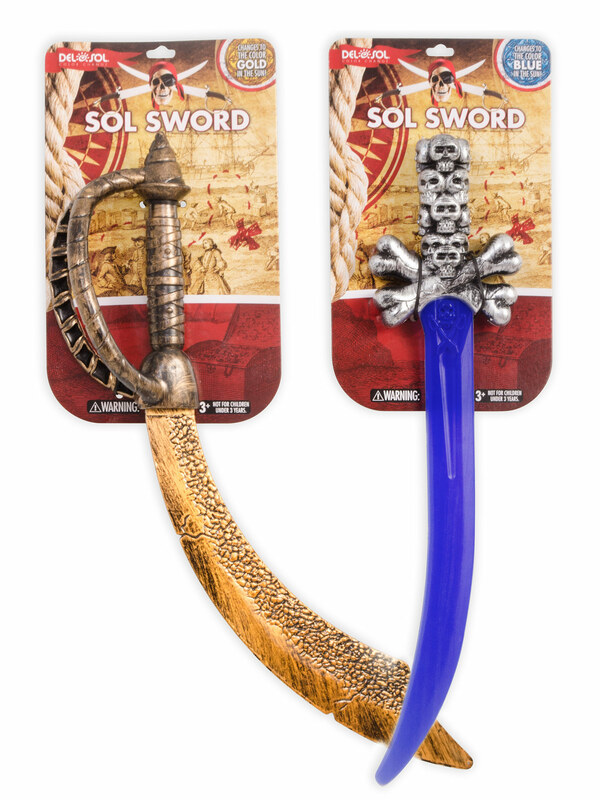 Designed 2 packaging variations for 2 models of Del Sol color-changing swords. Worked with Product, Packaging and Store Design teams to create new packaging backer to display the features of Del Sol’s changing swords. Created graphics with pirate theme while still matching the look and feel of our brand and our store design.